Business Description: CORE is a professional supplier for FTTX systems, Cablenet and fiber optics equipments and accessories adopting state-of-the-art technologies. 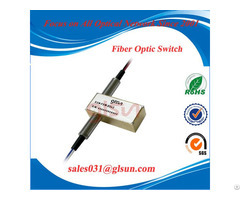 We have been in the field for ten years focusing on fiber patch cord, pigtail, adaptor, fiber optic coupler, PLC splitter, fiber optic cable, fiber optic enclosure, FTTH distribution box, fiber optic terminal, fiber optic cross cabinet, 19” optical frame, FTTH termination box, optical quick connector, fiber optic splice tray, fiber optic heat shrinkable sleeve, 1310nm optical transmitter, 1550nm external modulation transmitter, 1550nm direct modulation transmitter, fiber optic receiver, optical node, EDFA, optical station, optical attenuator, sfp, media converter, CATV amplifier, RF connector ,WDMs etc under ECORE brand and offering customer tailored products also. We have a strict QC team with highly skilled and experienced workers examination of the raw material, checkup in-process and whole inspection before shipment to ensure every item in good condition and performance to meet you demand during long distance transportation. We are accredited by ISO 9001:2000 and which helps us offer constant good service. 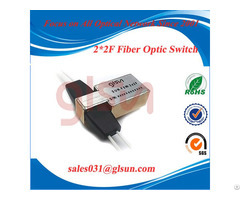 Thanks to our clients and partners consistent support and cooperation, our products are widely used all over the world. We welcome customers, distributors and buyers to work with us.